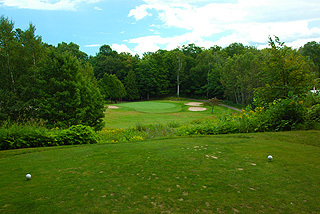 The Heritage is a 18 hole championship design and the more playable of the 2 courses on property at Marquette Golf Club. 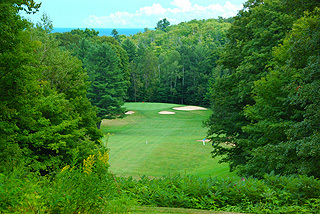 Adjacent is the renowned Greywalls Course, which is one of the most spectacular layouts in Northern Michigan. 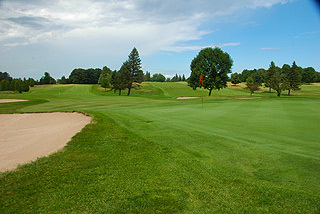 The Heritage was originally a nine-hole layout designed by William Langford and Theodore Moreau in 1926, with the second nine added by David Gill in 1969. 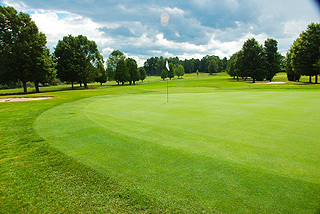 There is a driving range and practice green on property, along with a spacious restaurant/lounge serving a variety of food options and beverages. Bear, wine and liquor are served, along with a good variety of dinners and hot/cold sandwiches. 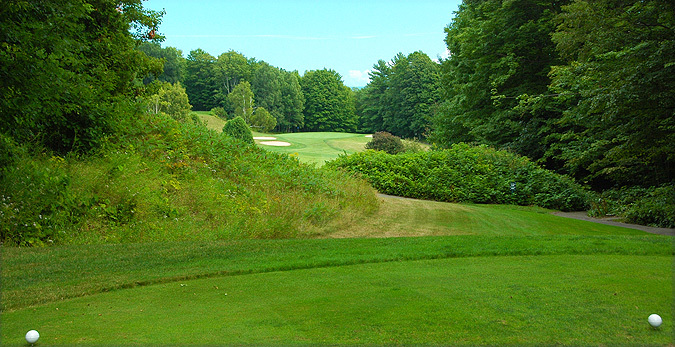 The course presents a nice variety of tree -lined and open fairways, with plentiful landing zones and room for error greenside. Tall native high grasses add challenge and aesthetic beauty. 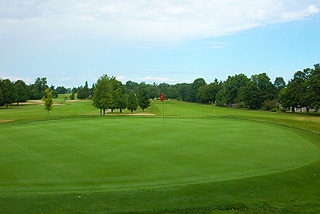 The raised greens are mildly sloped and wonderfully conditioned – land in regulation and good scored can be had. 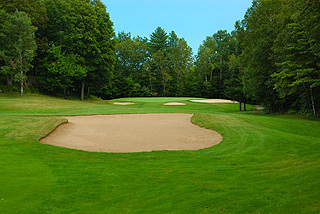 There are approximately 70 soft sand bunkers and water hazards come into play on a few holes. There are 4 sets of tee boxes on the Heritage, which means most levels of golfers will be able to choose a set that fits their game. 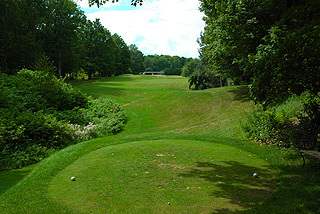 The tips measure 6239 yards with a 135 slope, and alternate sets play to distances and slopes measuring 5904/127, 5199/115 for men and 127 for women, and 5081/115 for men and 126 for women. Playing the Heritage as a warm up, enjoying lunch, then taking on the challenge of Greywalls, makes for a great day of golf. 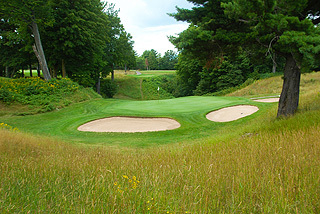 With 2 other top notch courses in the region – a 2 or 3 day golf trip to this part of the upper Michigan Peninsula is highly recommended. .
.For more info visit our page for the course, with direct link to their website by clicking here.